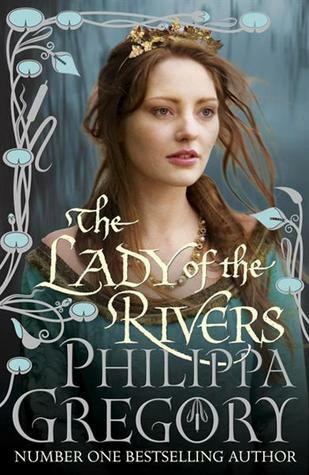 The Lady Rivers by Philippa Gregory is part of the Cousin’s War Series. Gregory wrote the books out of order for this series, I think because she became so interested in the Lady Rivers, Jaquetta Woodville, that she just had to write about her. After reading the novel, I wish I would have been able to read them in order, and I may just do that at some point. Jacquetta, Duchess of Bedford, a woman who navigated a treacherous path through the battle lines in the Wars of the Roses. Jacquetta was a character I absolutely loved when she was first introduce in The White Queen. My first thought was: she would be an awesome mother to have anytime, but especially during the 16th century. In The White Queen, she supported her eldest daughter’s rise to the thrown. In The Lady Rivers we get a deeper look into Jaquetta’s life from adolescence to adulthood, through two marriages and her support of Queen of England, Margaret of Anjou. Some of the strongest elements in this book was the historical exposition of alchemy and witchcraft, and the strong relationships. Jaquetta, descendant of Melusina, the river goddess, had the gift of foresight, knowing when someone close to her passed away. Gregory plays on the superstition and it makes for page-flipping fiction. Jaquetta is a strong-willed woman, who knows when to push the boundaries and when to stay firmly behind them. She is intuitive and could be seen as a role model of female strength and determination. Her own role model, as mentioned in the book, is Joan of Arc and so she draws her inner strength from a goddess and a French heroine/Roman Catholic saint. Gregory shows Jaquetta’s wits and undying determination throughout the story and how the saying “behind every great man is a woman” saying could have been very true in history. The romance between Jaquetta and Richard Woodville adds the needed spice to this serious story taking place during the Cousin’s War. Jaquetta’s close friendship with the Queen was also fascinating. The only scruple I had with this story was Jaquetta started to become repetitive and exhausting in her ambition for herself and her kin to rise in the court. She prayed often and the number of obstacles she has to overcome made me at some point think “oh come on, when is she going to catch a break!” But this constant struggle also makes you appreciate what she went through in her (young) lifetime. Parts of her story continue in The Kingmaker’s Daughter. Full of heart and bravery, Jaquetta is a woman of history worth reading about. Have you read any books about the Cousin’s War (aka War of the Roses)? If you’ve readThe Lady Rivers what did you think? Who are your favourite women in history?